Wow, do we have a big giveaway for our lovely readers in Canada – three winners will each receive a prize worth more than $630 CAD! 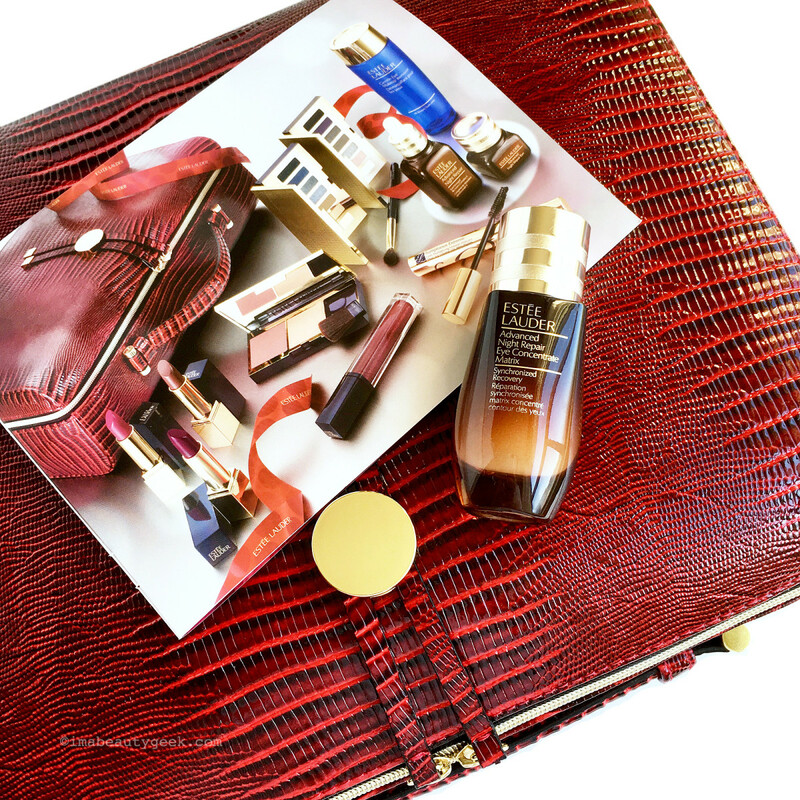 Lovelies, I&apos;m such a fan of the Estée Lauder Advanced Night Repair Eye Concentrate Matrix that I&apos;ve arranged with EL to give three bottles away! 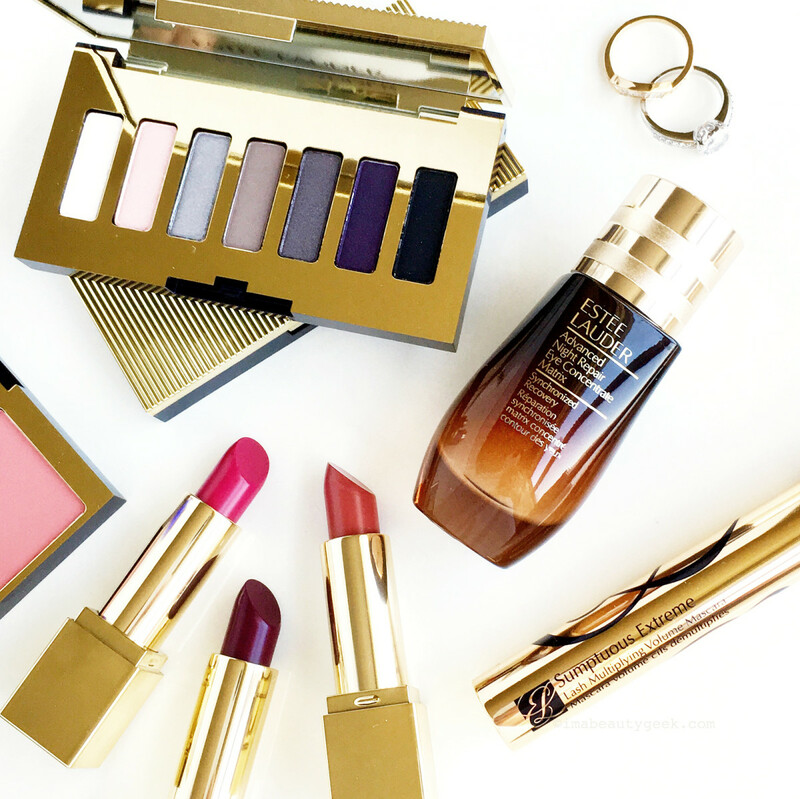 And as a bonus, Beautygeeks is also giving away three Estée Lauder 2017 Holiday Blockbuster sets in Smoky Noir, and each of those comes with a full-sized ANR serum and eye complex, as well as eye-makeup remover and makeup. We&apos;ll be selecting (randomly) three winners; each will receive a Blockbuster set and an ANR Eye Concentrate Matrix – that&apos;s a total value of more than $630 CAD! 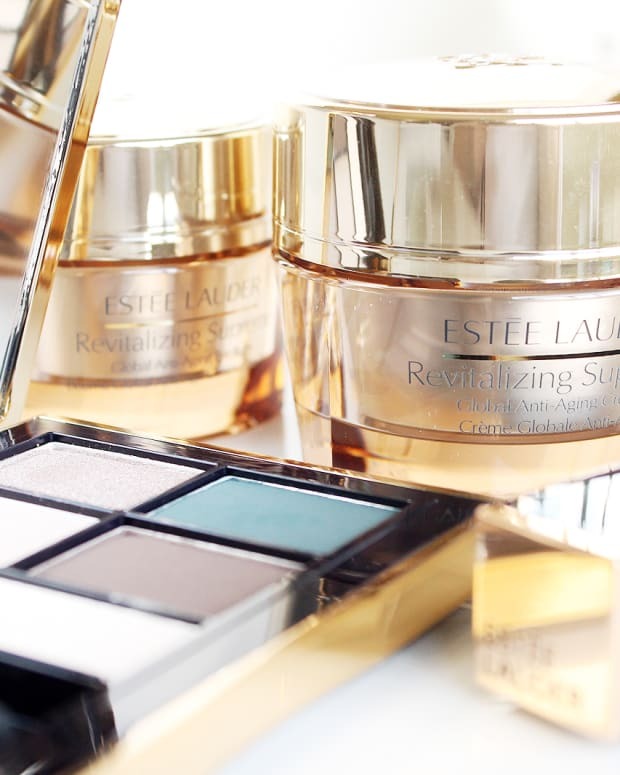 As you know, I love the Estée Lauder ANR Eye Concentrate Matrix ($88 CAD at sephora.com); follow the hotlink for all the details. Now let&apos;s have a quick look at what&apos;s in the Estée Lauder 2017 Holiday Blockbuster. 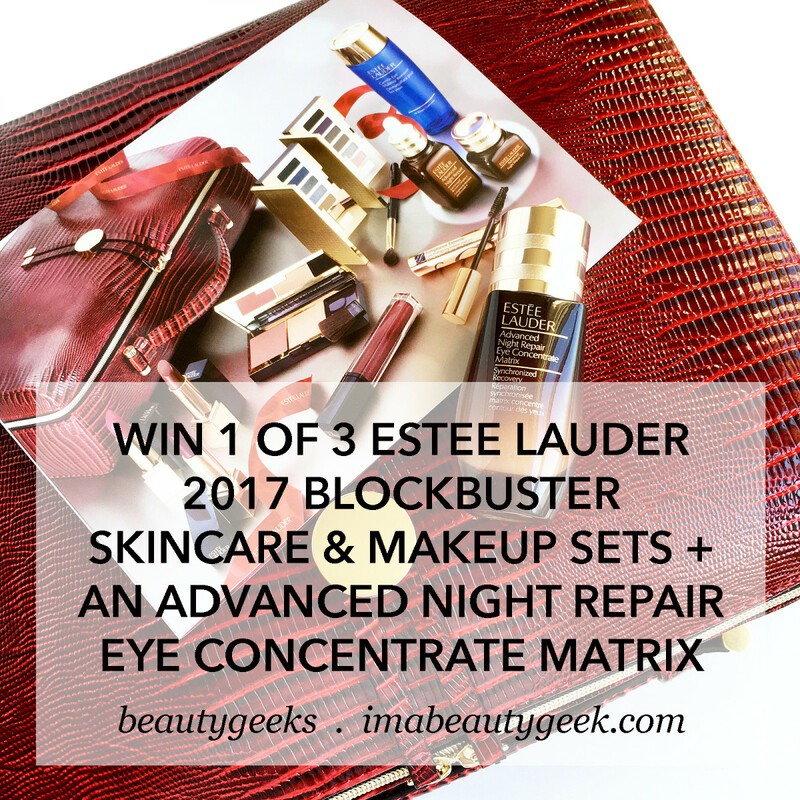 Win an Estee Lauder 2017 Holiday Blockbuster Smoky Noir set + ANR Eye Concentrate Matrix! The Blockbuster set is available for $90 CAD with any $50+ fragrance purchase, but the value is approximately $550 CAD. To qualify, you must have landed on your 18th birthday at least once, and you must live in Canada (apologies to our US friends). You can enter as many times as you like; there are several options in the form below. Note: once you complete the mandatory section, a series of optional ways to enter will open up. We&apos;re giving three of these prizes away – good luck! We&apos;ll accept entries until Thursday December 14th at 11:59 pm EST. Good luck, lovelies! 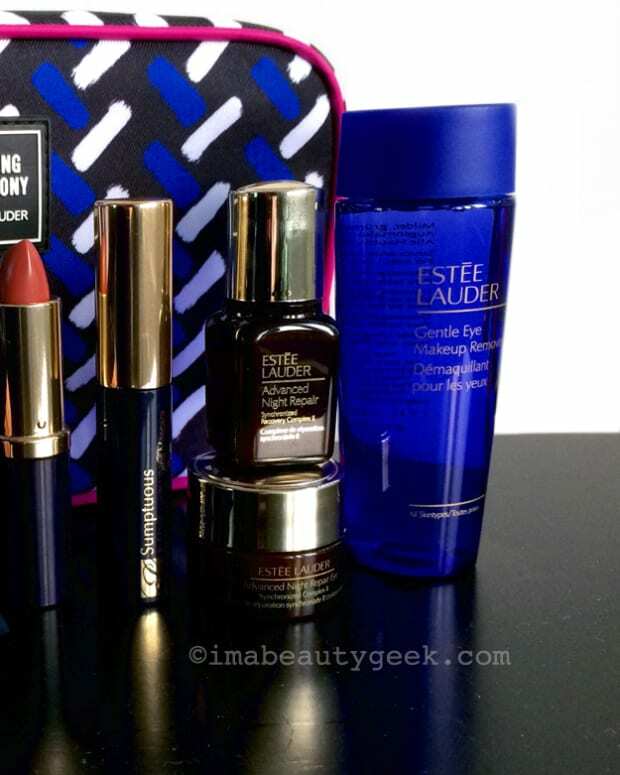 WIN 1 OF 3 ESTEE LAUDER OPENING CEREMONY COSMETICS BAGS! 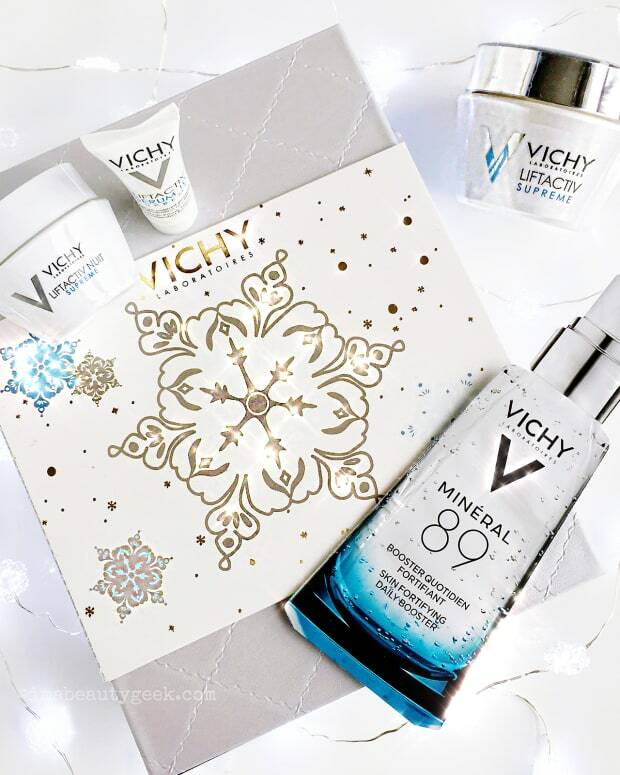 WIN 1 OF 3 VICHY ANTI-WRINKLE & FIRMNESS SKINCARE GIFT SETS! WIN THIS! 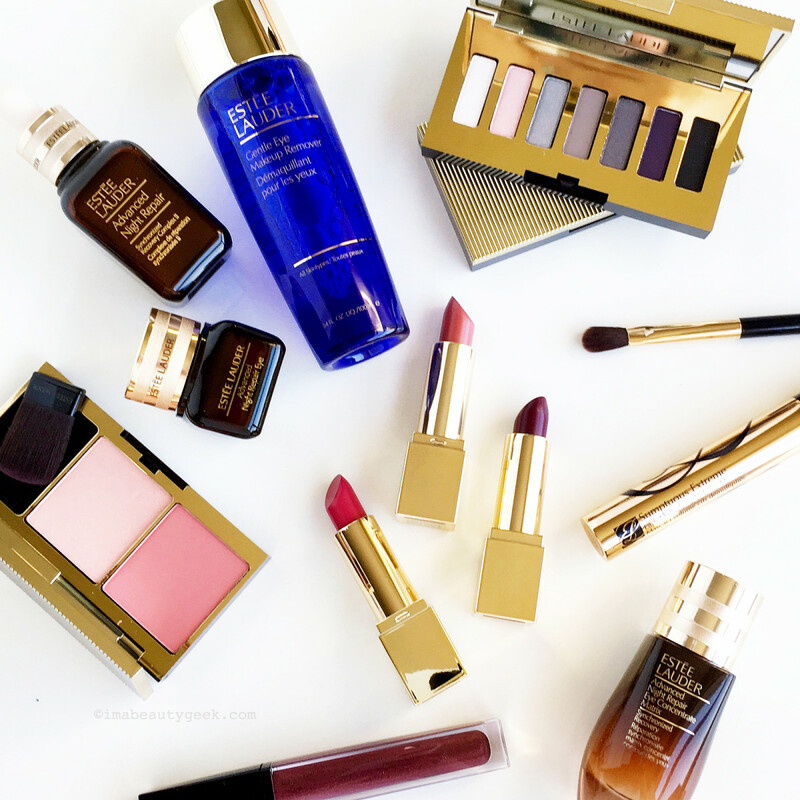 ESTEE LAUDER SKINCARE + MAKEUP!